A black-capped chickadee alights upon a crabapple tree in flower. This print was inspired by the chickadees that nest in a bird house in my crabapple tree. 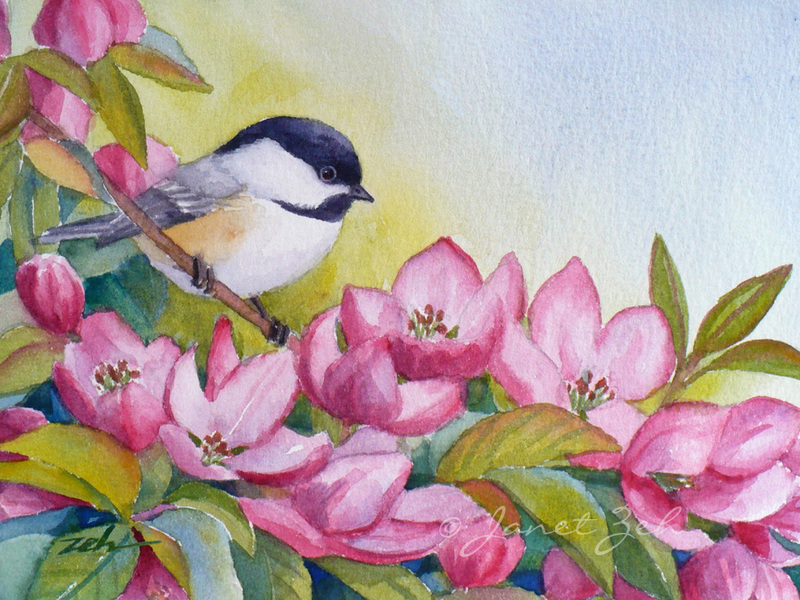 Get Chickadee and Crabapple Flowers framed, unframed or on canvas in my Fine Art Prints Shop.